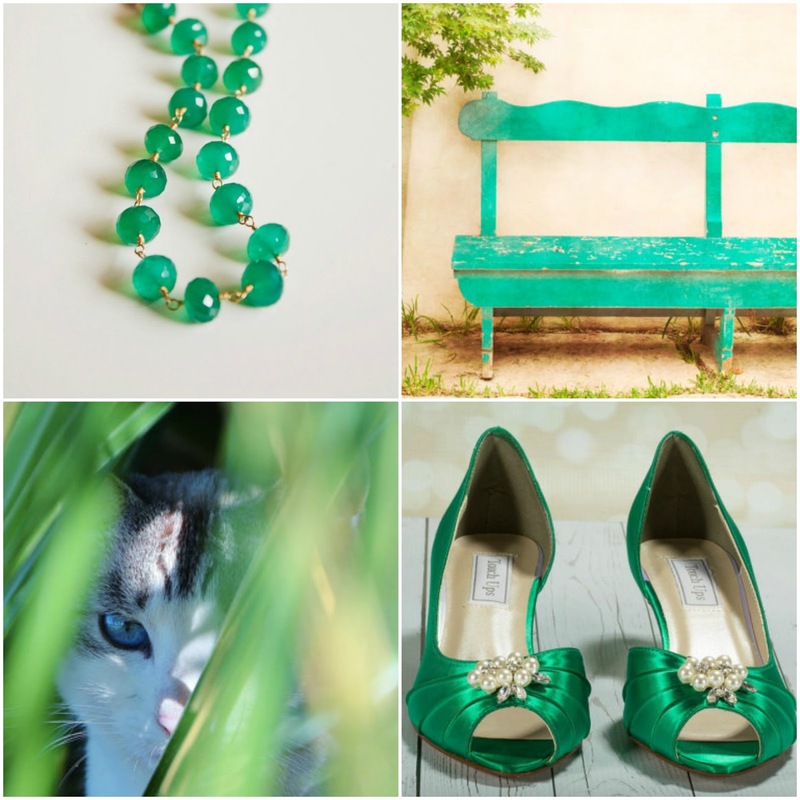 Emerald is the birthstone for this month! I might have mentioned that my high-school prom dress was emerald :) That was a looong time ago, but I still love the colour! It was so much fun browsing Etsy for emerald items. Here are my picks for my moodboard today. Enjoy! Smaragdgrün war eigentlich noch nie meine Farbe (ich bin auch kein Maikind *lach*). Doch in deiner Collage gefällt´s mir richtig gut. ich mag dieses kühle Grün auch sehr gern und Dein Moodboard ist bezaubernd. My favourite colour, too! I am off to take a closer look at the jewelry shop. That cat photo is a great capture, I never manage to get a good shot of my mums cats. Ich mag die Farbe eigentlich auch immer noch. Meine Tochter hat sich am Samstag Turnschuhe in dieser Farbe gekauft. Duni, ich suche schon eine Weile nach genau so einer Kette. Kannst Du mir sagen, in welchem Shop ich sie finde? Am liebsten wäre es mir natürlich, wenn ich sie bei Dawanda oder einem anderen "deutschen" Shop finden könnte. Love the necklace, I'm a huge fan of pops of color in jewelry. Of course the kitty cat is pretty adorable, too! What a great kitty photo! I love bright green, but I don't think I could pull off those shoes. One of my high school homecoming (similar to prom) dresses was emerald too. It was a loooong time ago for me as well, but I've always loved the color. Gorgeous picks, as always. Love the kitty! Emerald is a gorgeous color. I bet you were beautiful in your prom dress! P.S. Your blog isn't showing up in my feed again so sorry if I keep missing visiting. I'll try to do better. Such a fabulous color! So perfect for May. Wait a minute...I wanna see the prom photo! Fun finds. The kitty is so cute! And I LOVE those shoes! !